Each month, my office building has a raffle. This month, it was tickets to game 6 of the Stanley Cup finals (*if necessary.) The Capitals won the cup last night in game 5. 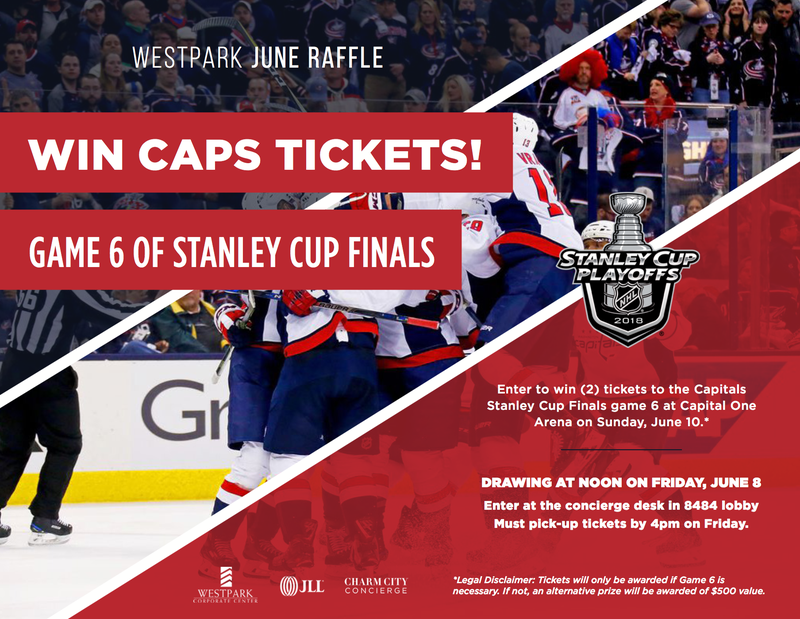 The raffle was sent out on Tuesday after the Caps had already won game 4 to go up 3-1 in the series. As soon as I saw this email, I laughed, because there was a good chance game 6 wouldn’t be necessary. Well maybe it wouldn’t be, except with how unlucky of a sports town DC is, game 6 certainly could have ended up necessary. So now the Caps won, AND somebody’s going to win 500 bucks instead of tickets. Maybe I should’ve entered.